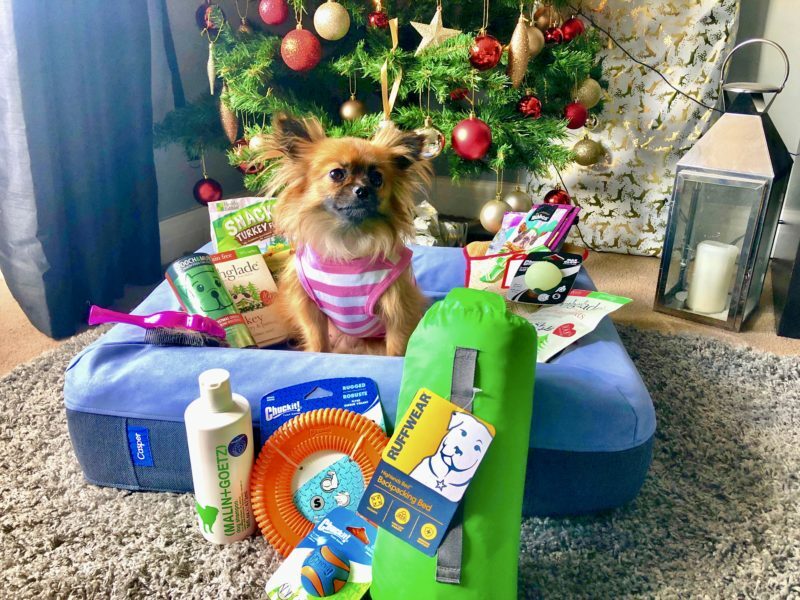 This year we have enlisted the help of our very own VIVA Dog, Gigi, to help us decide which gifts are on this year’s doggy hot list. From dog beds to toys and chews, Gigi has reviewed and paw-picked the best canine products on the market. Engineered by the same team behind the Casper mattress, this durable dog bed is a perfect sleep environment designed around dog behaviour. 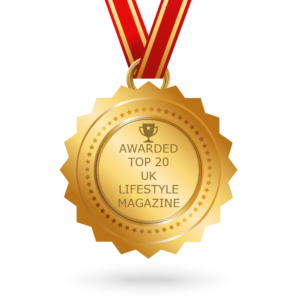 With over 11 months of dog studies and 460 hours of lab testing, this is scientifically, the best dog bed on the market! Gigi loves her Casper bed, so much so we can’t her out of it in the morning! Plus it even comes with a Casper doggy waffle that she loves throwing around the house before bed. 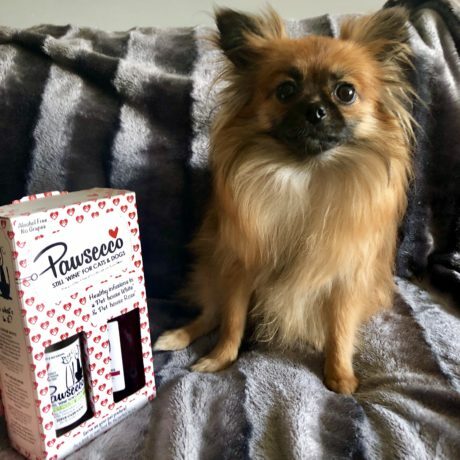 This Pawsecco gift set contains two bottles of “still wine” (don’t worry it’s both alcohol and grape free) and suitable for both cats and dogs. 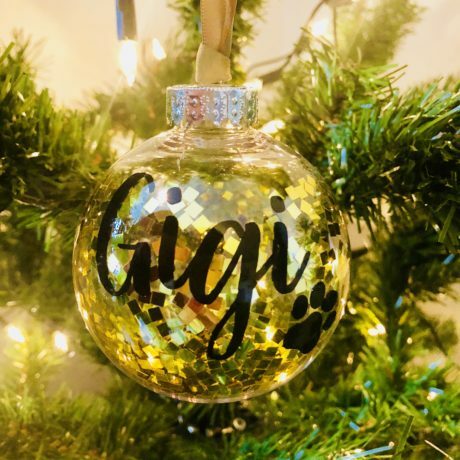 The perfect gift for the pampered pooch, and Gigi is no exception. She loves it poured over her favourite food for a little extra flavour. Gigi is over the moon with her personalised story book. 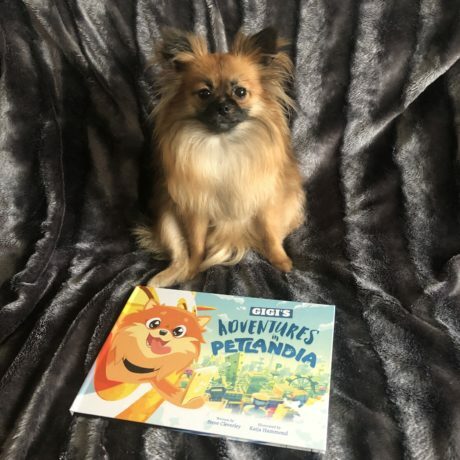 The perfect bedtime story that follows our very own VIVA dog as she discovers a glamorous world of doggy fame and fortune. 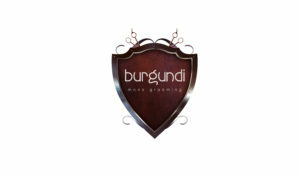 This is the perfect sentimental gift for any owner. 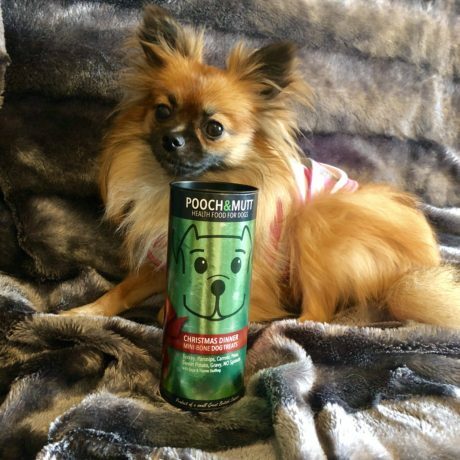 This dog shampoo is a safe and effective shampoo for every pooch; blending natural botanicals with hydrating amino acids, it gently cleanses without drying, stripping or irritating the skin. So how did Gigi get on? Well, she did not love her bath; however, she did love the way she felt afterwards. Plus, she smelled phenomenal! Gigi’s fur was supersoft and fluffy, she’s never looked better! 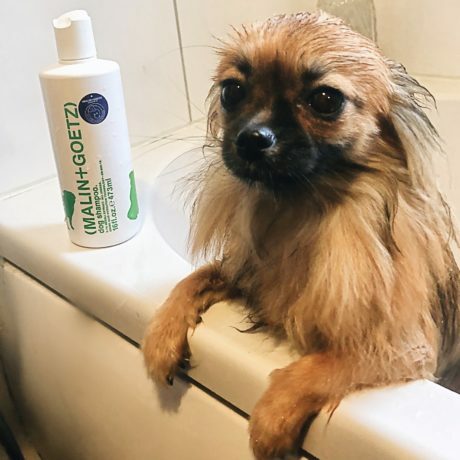 PLUS, in partnership with BATTERSEA DOGS & CATS HOME, for every bottle of dog shampoo sold MALIN+GOETZ will donate £2 to the charity. The ultimate detangling brush, this PetAngel grooming brush is essentially a tangle angel for dogs. Gigi never used to like being brushed, but with the PetAngel Mini she really couldn’t get enough. By the time she had been brushed she looked as though she had stepped straight out of the groomers! 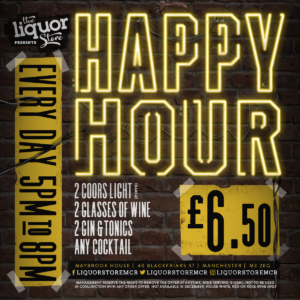 We cannot recommend enough. The perfect present for the ultimate festive fur-ball. 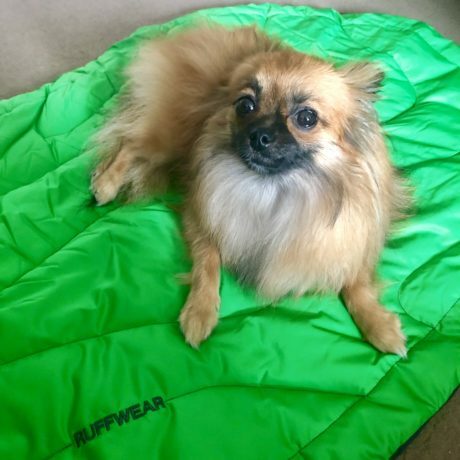 The Highlands Bed™ by Ruffwear® is ideal for the dog who likes to be involved in all family activities, including taking a rest after an adventurous hike. Unfortunately, being the VIVA Diva, Gigi does not like getting her paws dirty. 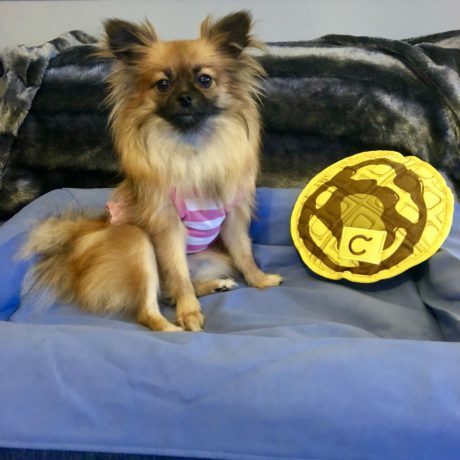 However, this portable dog bed is the perfect protector to keep her paws clean and her belly dirt free in the great outdoors. As one of the most important members of the VIVA family, Gigi does not like to be left out. This year she was front and centre when it came to decorating the Christmas tree. Her contribution was a personalised bauble, handmade and filled with gold confetti. These treats come vet recommended and promote good canine dental hygiene, occupy and entertain, discourage destructive chewing and even reduce stress. 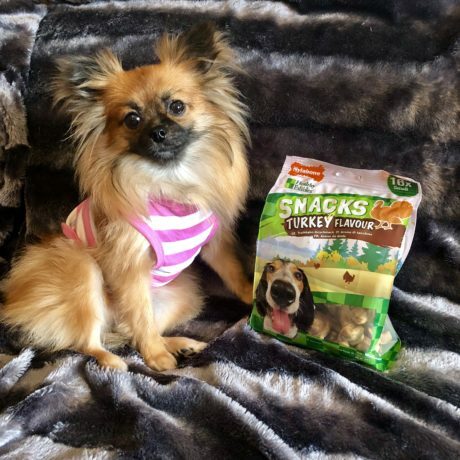 Gigi absolutely adored these treats, and they are the perfect distraction to keep her entertained when she’s at home. Gigi could not wait to get into her very own Christmas cracker. 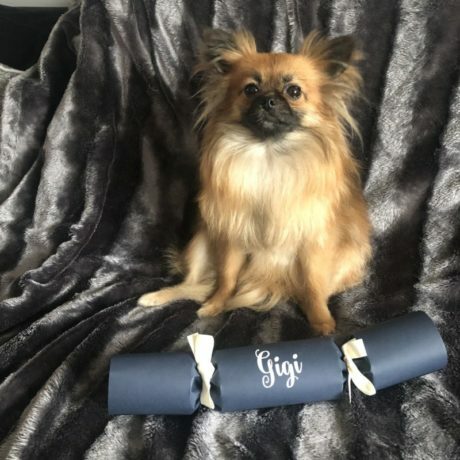 Filled with delicious doggy biscuits that Gigi reluctantly shared with her doggy friends, this personalised cracker made Gigi feel very special. Chuckit! performance toys are designed to take interaction to the next level. 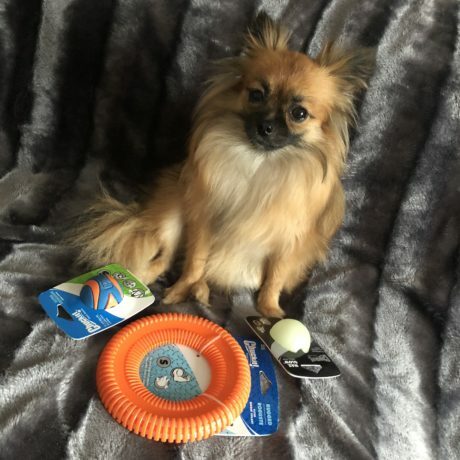 There really is something for everyone, there are toys to suit every size dog. 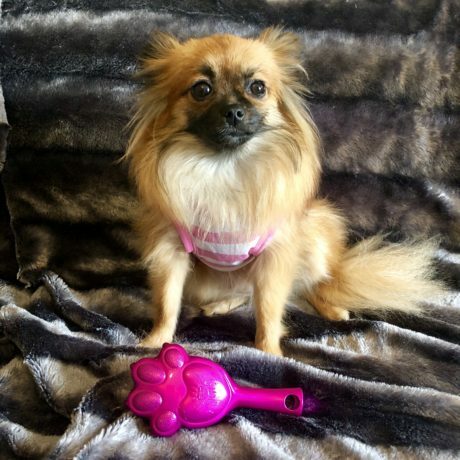 They really are the perfect outdoor accessory, the glow in the dark ball really comes in useful for late night walks, Gigi loves chasing hers around the park. Furthermore, every toy is extremely hardwearing so you won’t have to worry about these toys being ripped to shreds. 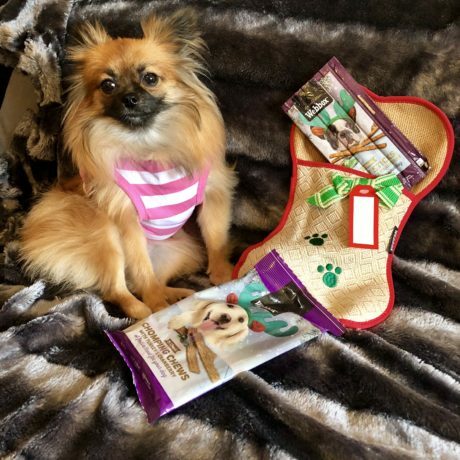 This personalised dog stocking includes two tasty treats and a chew toy. Gigi loved her Turkey and Cranberry chomping chews! The full Webbox range is available in a wide range of stockists. The Christmas Dinner Treat Tube combines a blend of turkey, parsnips, stuffing, peas and gravy for a delicious authentic festive flavour. These treats certainly got the Gigi seal of pawproval. Pooch & Mutt is available in Amazon, Ocado, Waitrose, Pets At Home and other independent retailers. 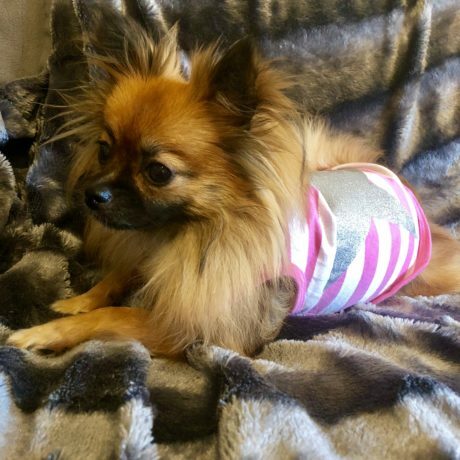 These super cute doggy PJs are backed by the Make a Wish foundation in partnership with The Original Factory Shop, who are donating £1 for every pair of star PJ’s sold to help grant wishes. There’s a pair for the whole family too, so share some family time in these super-cute PJ’s by heading in-store and buying yours today. This Christmas, Forthglade have launched a new festive feast guaranteed to be a favourite with your canine companion. 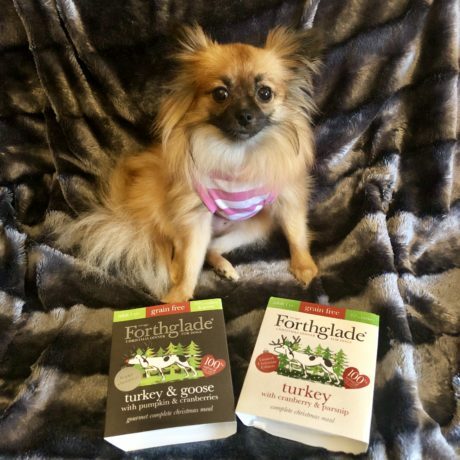 The Forthglade GOURMET TURKEY AND GOOSE is a grain-free natural wet meal. Packed with 75% meat and teamed with pumpkin and cranberries, it’s a complete and nutritious dinner that will keep your dog happy and healthy this Christmas. Also available is the FORTHGLADE TURKEY CHRISTMAS DINNER FOR DOGS. Chunks of succulent turkey paired with sweet parsnips and vitamin-rich cranberries, all slow-cooked to lock in the goodness and taste. So there you have it. Gigi’s complete guide to a dog friendly Christmas. It been a hard life trying all these delicious treats, playing, grooming and sleeping, but someone has got to do it!